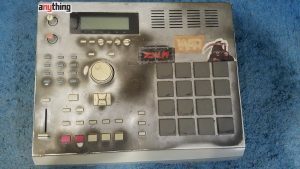 ” Has decals and marks, but it works fine. I’ve used it for recording a bass guitar DI track with the gain cranked, has an awesome gritty sound that I can’t get through any pedals or VSTs. I’ve also tried to make some boom bap beats by sampling some records into it and playing around. Powerful machine with an old school sound. 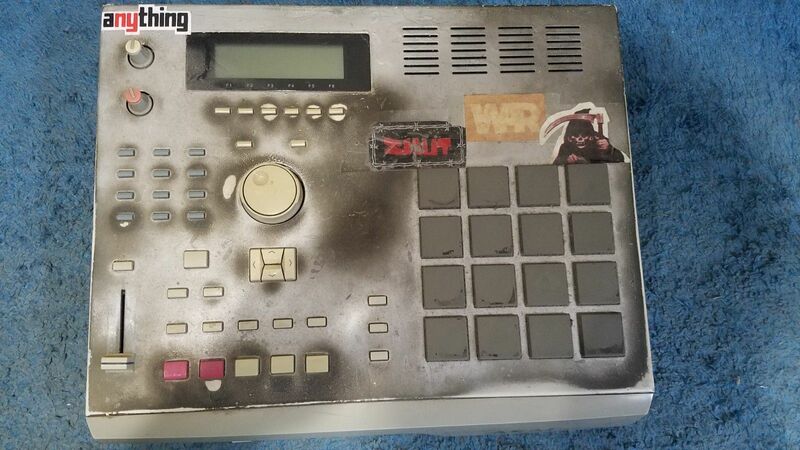 This machine has been used by the dons of hip hop production like DJ Premier and Pete Rock. Comes with velvet-interior carrying case, a bunch of floppies, and USB TO FLOPPY ADAPTER.